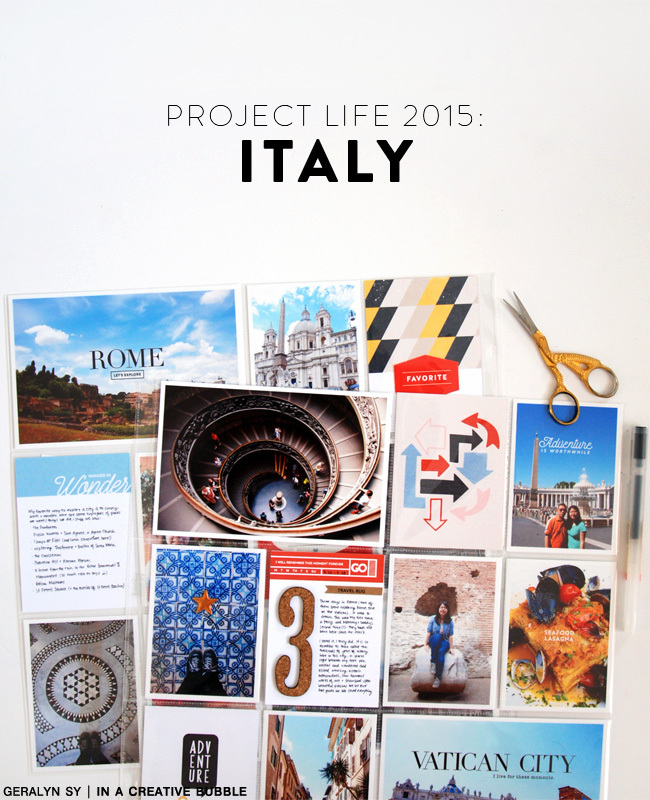 Today I'm showing you how I documented my short trip to Italy in my Project Life. 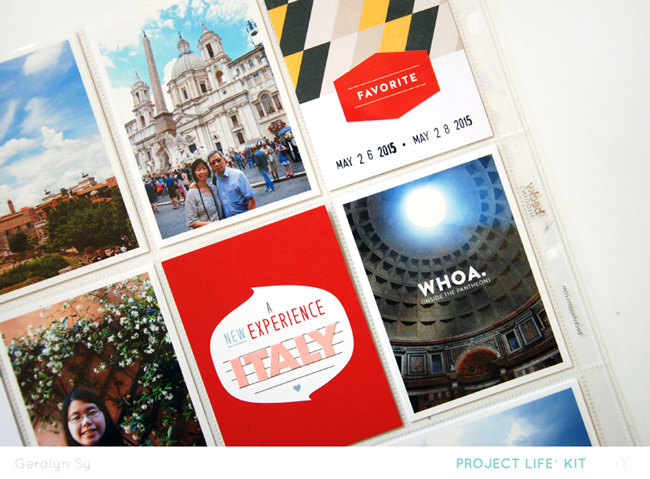 I still plan on making a mini-book with a more detailed day-by-day look at our trip, but I always include a travel overview in my Project Life album. 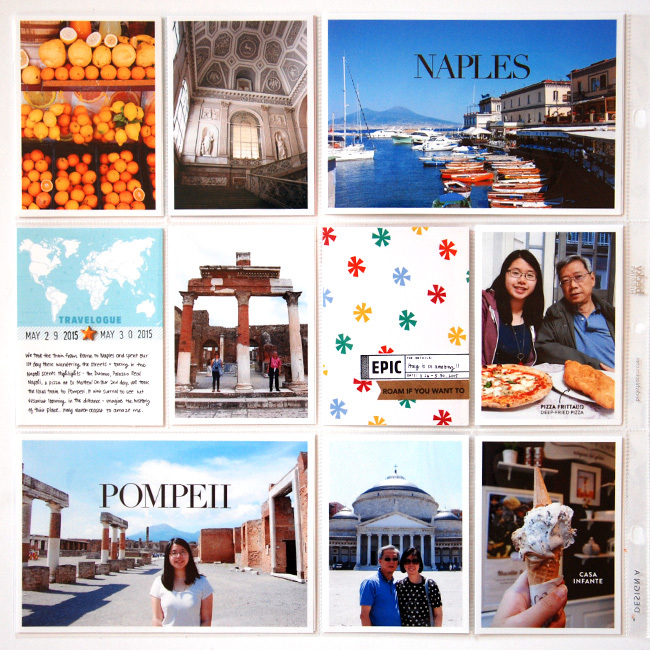 For this trip, I made three 12x12 spreads - two of which are included in my Studio Calico Brimfield kit gallery this month. 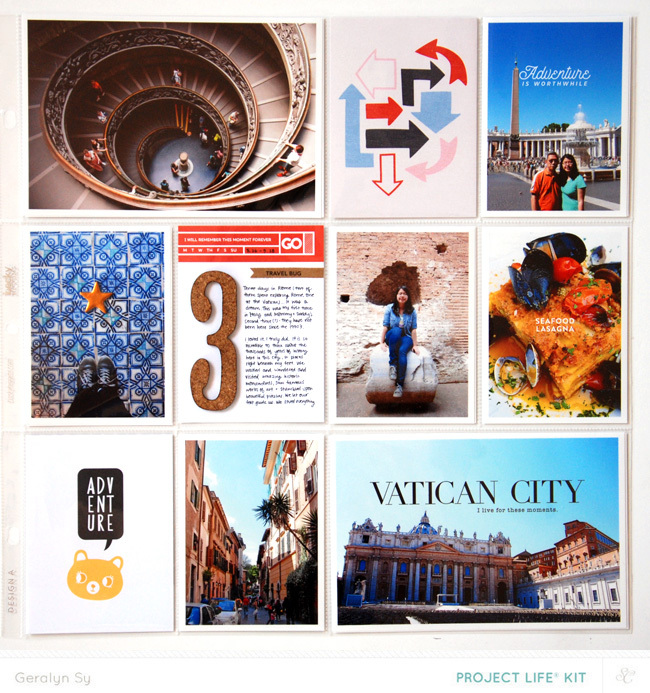 First, here is how my double-page 12x12 spread looks side-by-side. I have been waiting for the Brimfield Project Life kits to be released to document this trip because I knew they would be a perfect match with my photos! Bakelite is my favorite add-on, and not just because I got to design some of the cards and the stamp set. (You can also find different colorways of these cards as digital printables in my shop). 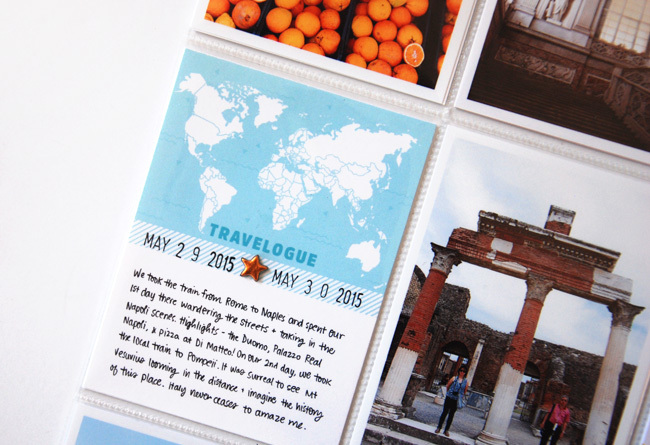 I adore all things travel-themed so this add-on was right up my alley. 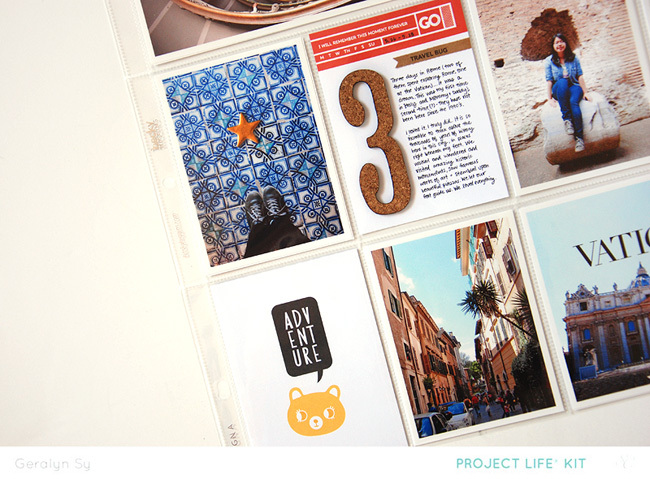 I used a mix of the Project Life kit and add-ons, though the cards are primarily from Bakelite. 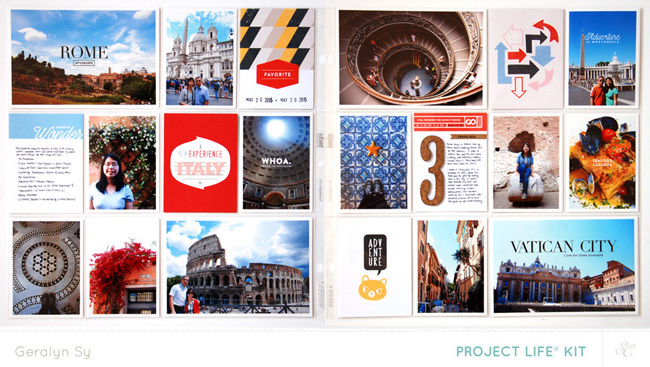 To keep things consistent in my Italy spreads, I used the Oliver digital brushes to label the cities we visited. 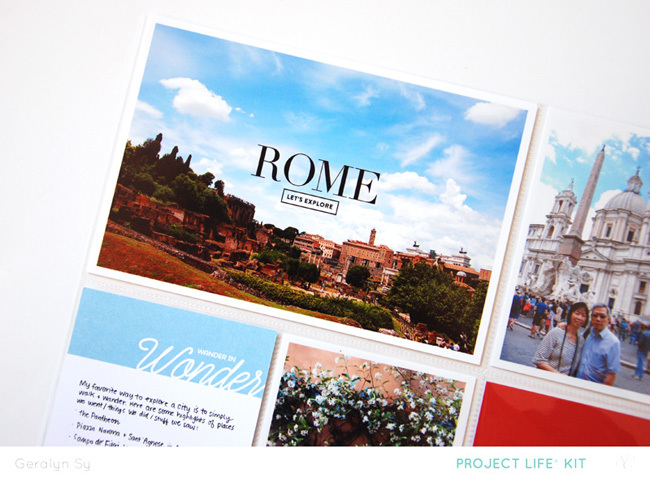 Underneath 'ROME' I also used the digital stamp version of my Epic stamp set (in the Bakelite add-on). 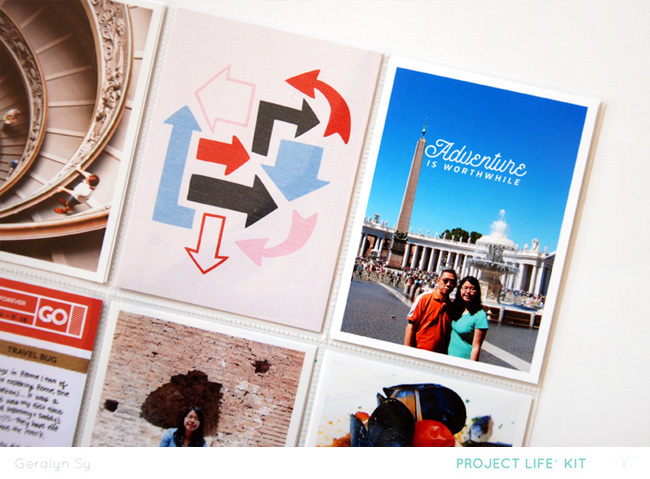 I was so happy to see that the return of my favorite alphas in the Project Life main kit! I used those to spell out 'ITALY' on the card. Here's a look at the right side. I kept the same blue/yellow/red/kraft color scheme so that the pages would look cohesive. The majority of the pockets are filled with photos, but I included two filler cards for some white space/'breathing room' on my spread and one card for my journaling. I'm a big fan of digital stamps right on my photos. 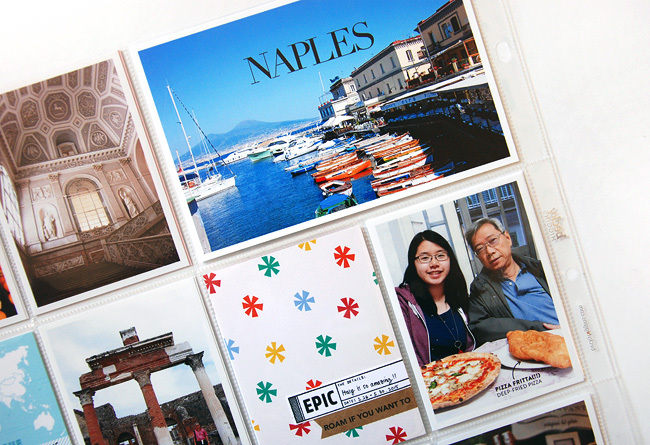 The 'adventure is worthwhile' stamp is the digital version of my Epic stamp set (in the Bakelite add-on). I pulled a couple of embellishments from the other add-ons because they worked so well with my spread. The cork #3 is from Chippy Paint and the little word strip chipboard star is from Milk Glass. Here's my third Project Life spread. I mixed in one of my own printables for this spread, which is why it's not included in the SC Brimfield gallery. But as you can see, I kept the color scheme and details fairly similar to my other double-page spread so that they would look cohesive since they're all documenting the same trip. This card is from my Wander no.2 Cards. I added a little copper star (from Milk Glass) and stamped the dates! Keeping it clean and simple here. Once again, I used the Oliver digital alpha brushes for the names of my cities. I really like how it keeps things consistent when documenting Italy in my PL. The fun asterisks card is from Chippy Paint and I used my Epic stamp set (from Bakelite) and a little phrase strip (from Milk Glass) to complete it. And that's it! 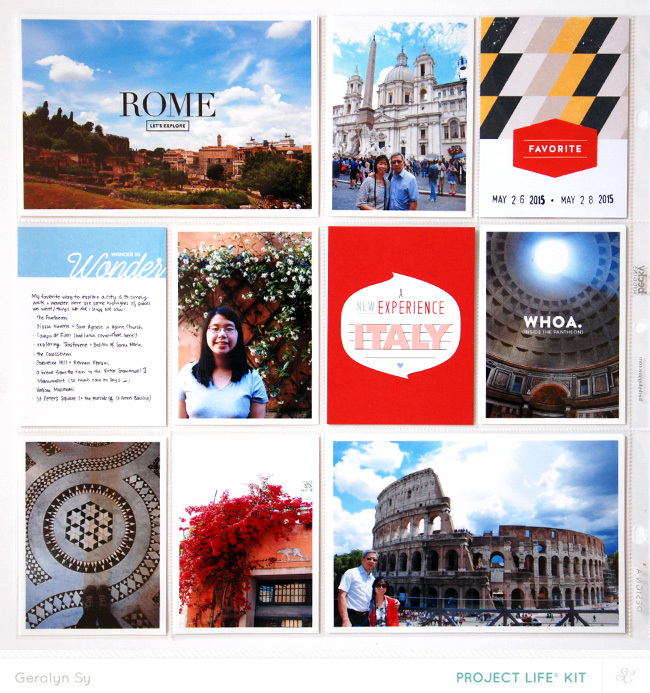 I still have a mini-book to tackle, but at least I've got this Italy travel summary documented and in my books. Thanks for visiting today!